And we are filled with gratitude for the concerned enquiry. Gertrude is still making her presence felt. The titles are rattling and hail is battering the windows. Although the worst of the storm has passed the gusts are still strong. From midnight onward the wind speed ratched up. It was around 7:00am when the gusts peaked at 77mph. In the winter months there is no ferry timetabled on a Friday. Not unexpectedly this morning the flight from Glasgow was cancelled. It is exhilarating walking into winds gusting up to 69mph. The waves were powerful – even exciting – if you don’t have to go to sea. On the Atlantic facing beaches the waves must have been amazing. 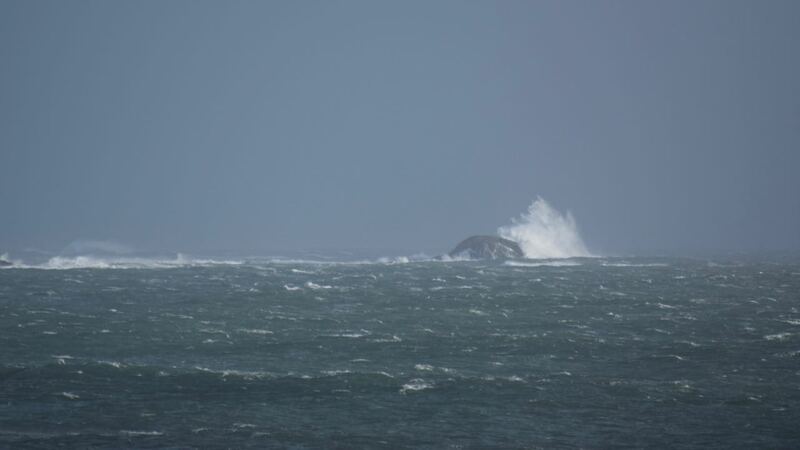 It was dramatic enough on the more shelters waters around Scarinish. A stimulating environment and caring community. No loss of life on the island during the storm. The power supply stayed on.